This is the second post on metaStudio featuring the special features of gnowsys-studio. 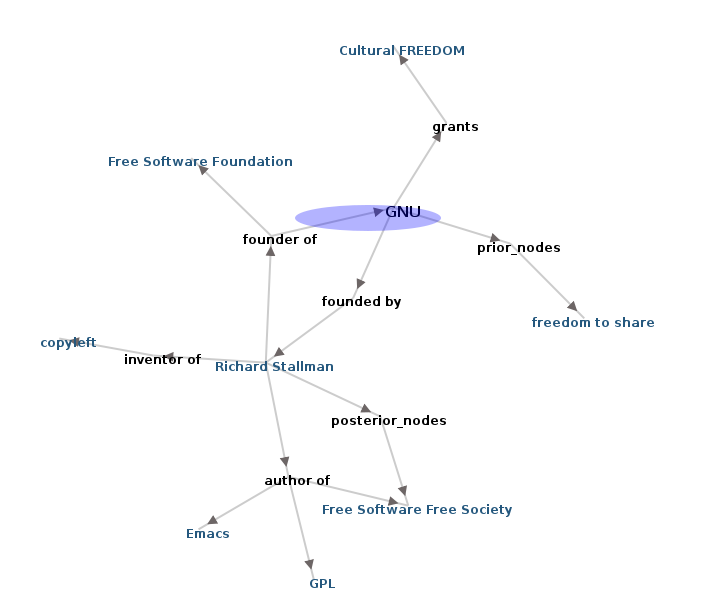 The site allows collaborative construction of semantic networks between the wiki pages. Users can define and use the relations between pages. The graph produced is published in SVG which allows navigation of the graph by mouse click. When Control + Click is used the graph reloads on the same page showing the additional nodes in the neighbourhood of the selected node. This way, a merged graph can be created. Explore more pages at the site. This entry was posted on	February 18, 2013 at 1:24 pm	and is filed under philosophy.